Landfill space fills up fast. Americans generate about 4.4 pounds of trash per day, and while some of it is recyclable, most ends up in the dump. Now, many local landfills are closing because there’s no more room. The National Waste and Recycling Association reported that there were once 8,000 active landfills in the United States. That number is now down to 3,091. If you’re wondering what happened to all the ones that closed, the answer might surprise you. Depending on the type of waste accepted at a landfill, there are several possible uses once they’ve been capped. There might even be an old landfill in your neighborhood – just disguised as something else. Before a landfill can be reclaimed, it has to be capped. Landfill capping forms a barrier between trash and the surrounding environment. It’s extremely important for containing the harmful effects of contaminated and decomposing items. Depending on what the site was used for, there are two different landfill cap systems. 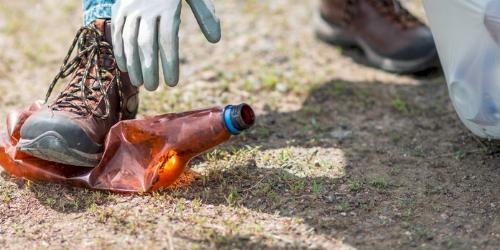 Synthetic material covers the exposed hazardous waste. The material is topped with two feet of compacted clay. A drainage layer safely gets rid of any contaminated liquids as the trash decomposes. A layer of dirt or topsoil completes the cap system. 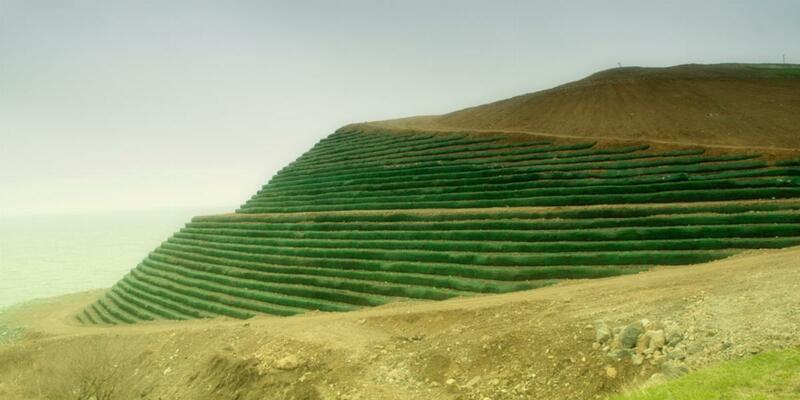 A liner system sits at the bottom of the landfill. Layers of compacted clay and synthetic material cover the whole site. Topsoil is added over the clay. Once a landfill has been properly capped, the site can be used for other purposes. The United States has been regulating landfill use since 1988 through the Resource Conservation and Recovery Act. Under the act, each landfill must be designed with protective liners. This legislation also requires plans to maintain and monitor the site for at least 30 years after it has been capped to ensure its safety. One of the most popular uses is to transform a landfill into a community park. The Trust for Public Land estimates that there could be more than 1,000 parks sitting on old dump sites. From green spaces to basketball courts to golf courses – the possibilities are endless. Virginia Beach is home to one of the most famous landfill parks. Known as “Mount Trashmore,” this 165-acre tourist attraction sits on compacted layers of solid waste and clean soil. The capped landfill is now home to man-made mountains, lakes, playgrounds, a skate park and paths for walking and biking. Former landfills are often repurposed into landfill-gas-to-energy sites. Generating power from captured landfill gas isn’t new, and converted electricity is often fed back into the grid to power everything from our homes to our vehicles. There are also several solar panel fields installed on top of old landfills. New Jersey has taken on multiple solar projects, and uses what was once a municipal dump in Burlington County as a source of renewable energy. However, there are risks to building on a closed landfill that get in the way of adopting this as a widespread practice. As trash decomposes, the ground shifts and can become uneven, which poses a difficult challenge when dealing with intricate solar arrays. But if an energy provider is willing to take on that challenge, installing solar or wind energy projects is a great way to benefit from these underutilized spaces. Environmental conservationists are advocating for landfills to be repurposed as wildlife habitats once they are no longer in use. Before establishing a refuge, groups test different plots of soil on the capped landfill to see if they can support native plant life. Once those areas are identified, native trees, plants and grasses are brought in and left to grow on their own. One example is the Alliance Landfill in Taylor, PA. Vegetation was planted in the best spots and over a period of two years, increasing numbers of birds and other animals made the area their home. Landfill wildlife habitats like the one in Alliance are endorsed by the Wildlife Habitat Council, and they encourage conservation activities to continue on these sites. Landfills aren’t just dumping grounds for processing waste. They represent usable land that can benefit a community by creating green space and parkland, producing sustainable energy and conserving habitats for local wildlife. Curious to know more about America’s dumping grounds? Learn how modern landfills work to make safety and environmental health top priorities. 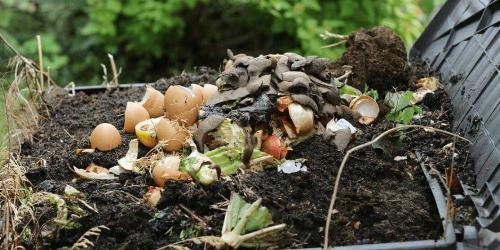 Would you participate in a curbside compost collection service? Find out how cities across the country are adopting curbside composting programs to reduce waste in landfills. A community cleanup takes a great deal of effort to plan and execute, but creating a clean and safe space for the neighborhood to enjoy is well worth the effort.